The red-hot Winter bite is still in full swing despite the fact that the “winter vortex” is sitting on top of most of the northern US and Canada! The pods of Sailfish are in town for the winter and they aren’t going anywhere! 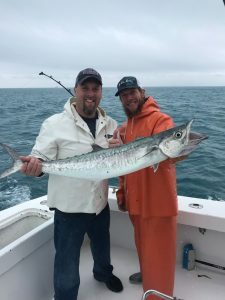 Wahoo, King Mackerel, Amberjacks and big Sharks continue to keep line peeling and drags screaming. 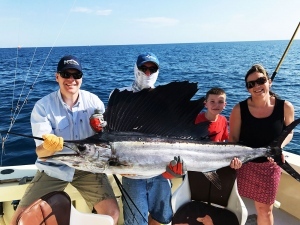 The world-famous Sailfish are here and more are on the way from the north. 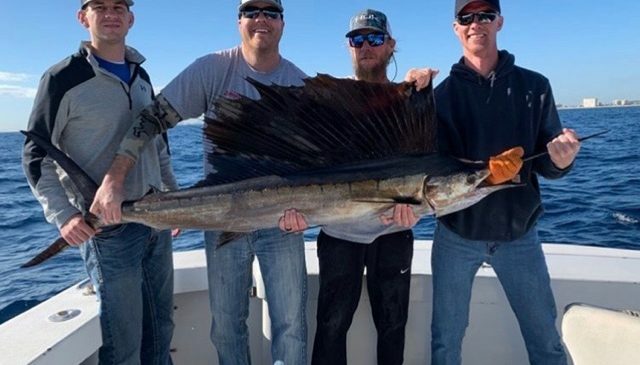 A few weeks ago, nearly 1,000 Sailfish were caught during a sailfish tournament about 90 miles to the north of us and they are headed this way! The recent January cold fronts have really turned on the bite as we continue to catch multiple Sailfish on live Goggle Eyes or Pilchards suspended below our fishing kites. South Florida is the birthplace of kite fishing and nobody does it better than the pros at Fantastic Sportfishing. We been catching Sailfish anywhere from 60 feet out to 300 feet of water. 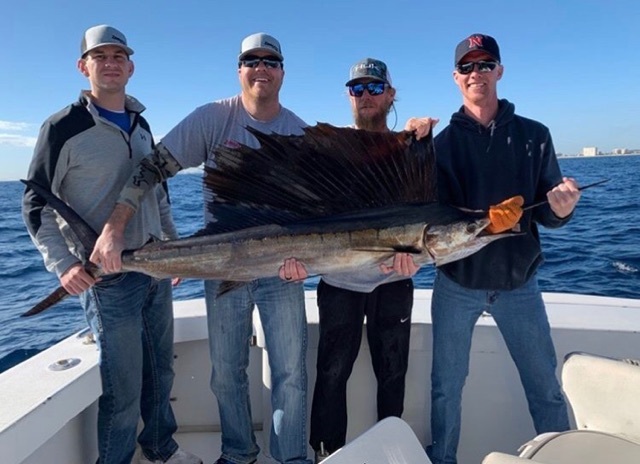 When there is not enough wind to keep the kites in the air, we’ve also had success catching Sailfish by slow-trolling live Ballyhoo or Goggle Eyes on the surface and just below the surface. 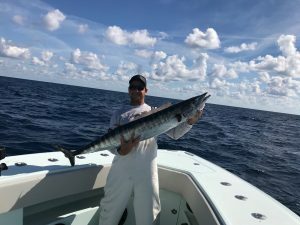 Wahoo continue to be very active on the deeper reefs and out to 600 feet of water. Wahoos have also taken a liking to our live baits while Sailfishing. We’re catching Wahoo in the 10 to 50-pound range either on our Sailfish baits or on live Bonitos. We’re also catching Wahoo on the troll with bonito strips, mullet strips, lures and feathers trolled below the surface on planers. Wahoo aren’t the only “toothy critters” on the prowl. Their cousins, King Mackerel, are also pouncing on our live baits and trolled baits in the hopes that we’re not fishing wire leaders. The shark fishing continues to be hot. The Hammerheads are showing up under our kite baits just like the rest of the species we like to catch. You need to keep your head on a swivel and few things are as impressive as an 8-foot Hammerhead thrashing just underneath the kite. We also continue to tangle with Blacktips and Spinner Sharks by targeting them on certain wrecks with live and dead Bonitos. If you’ve ever wished to catch a big Shark, now is the time to schedule your trip with us! We continue to introducing our clients to the offshore version of Crossfit Training: Amberjacks! We’re dropping down a live Bonito or Goggle Eye in 200 – 300 feet of water to slug it out with huge, bruising Amberjacks. As always, there is no snow in OUR forecast. Ever. Come join us to keep this hot winter bite going! 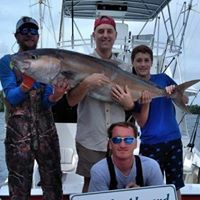 Give us a call to book a trip with Fantastic Sportfishing.